“Goodtime Christmas” is a long-anticipated, professionally produced, and unique children’s album packed with original and well known holiday songs. All tracks are Alex Mahé performed, produced and arranged to maintain his ever-popular trademark voice-forward clarity, energy and varied instrumentation /tempos contributing to each track’s unique presentation. Carefully crafted to emphasize his favourite themes of caring, sharing, and family values so well-received by parents and teachers alike, the album features ElectricTreehouse studio owner and engineer Colin Noel with collaborating musician and programmer Jason Grilo (keyboards). Further enhancing the CD’s goal of listener participation, many tracks feature a “Children’s Chorus’ that prompt and encourage young listeners to join in the singing and to share in the song’s storylines and adventure. In addition to great music, the album also features vibrant and attractive visuals, with graphic designer Anna Kuelken, Gordon Ganser & TL Photography contributing to the CD packaging and insert lyric booklet. 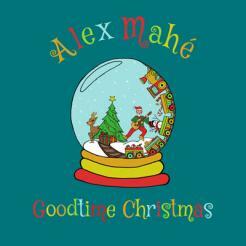 With his original track entitled, “I wish Christmas Came Twice Year’ already gaining popularity, GOODTIME Christmas is an Alex Mahé concept-created compilation of songs sure to delight and appeal to all listeners looking for fresh, singable and inspiring holiday music. Alex Mahé has, for over three decades, traveled across Canada bringing songs, music and laughter to children audiences and has produced, arranged, recorded and released family-friendly audio products the whole family can enjoy. 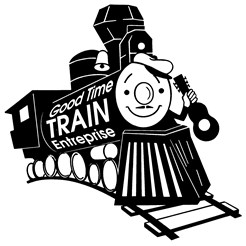 This Canadian bilingual singer/songwriter became Alberta’s first Early Childhood Development male gradute whose teaching experience led him to host and co-produce the ‘Alex Mahé’s Goodtime Train’ children’s TV series, write songs and perform at festivals and at hundreds of schools around the country. Songs drawn from his six previous recordings rotate regularly online on Stingray and are available on numerous download stores including iTunes. Among Alex’s award wins and nominations are Children’s Music Web, Parents’ Choice, ARIA, Prairie Music, WCMA and Canadian Folk Music Awards. In 2009 he was awarded MacEwan University’s highly coveted Distinguished Alumni Award for his panacea to the world of children and family-friendly music. 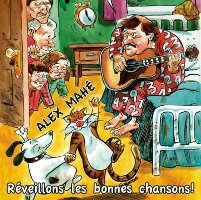 Congratulations to Alex on being nominated for Children's Album of the Year in the 2014 Canadian Folk Music Awards for the album Réveillons les bonnes chansons! Félicitations à Alex pour sa nomination du prix de musique folk canadienne pour l'album jeunesse de 2014, Réveillons les bonnes chansons! Alex Mahé a diverti les jeunes depuis sa tendre enfance. Son amour de la musique, de la jeunesse et du divertissement lui auront permis de transformer sa passion en une carrière à plein temps qui, sur scène, devient contagieuse. For nearly three decades, Alex's talent and enthusiasm has captivated audiences from Montana to Inuvik, Vancouver Island to Quebec. His uninhibited personality and warm rapport with children encourages young volunteers to share the spotlight on stage and participate in the fun. Alex emphasizes audience participation, allowing the spectators to get into the spirit of his songs.